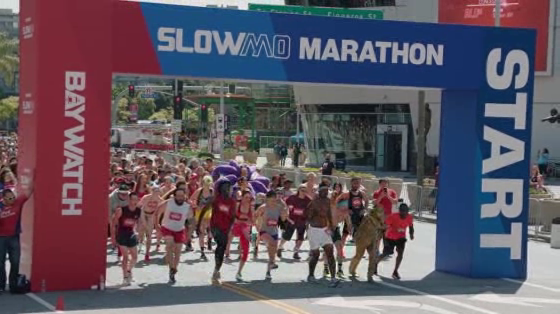 On the 22nd of April 2017, Downtown Los Angeles was witness to the first ever marathon run entirely in slow motion. Thousands of people turned up to honour the launch of the upcoming Baywatch movie and slowly, sexily, sassily, strutted their way across 0.3km. Athletics will never be the same again! The Slow Motion Marathon was created by Droga5 London to promote the upcoming release of the movie staring Dwayne Johnson and Zac Efron. Foundation For Women: Did you see that?